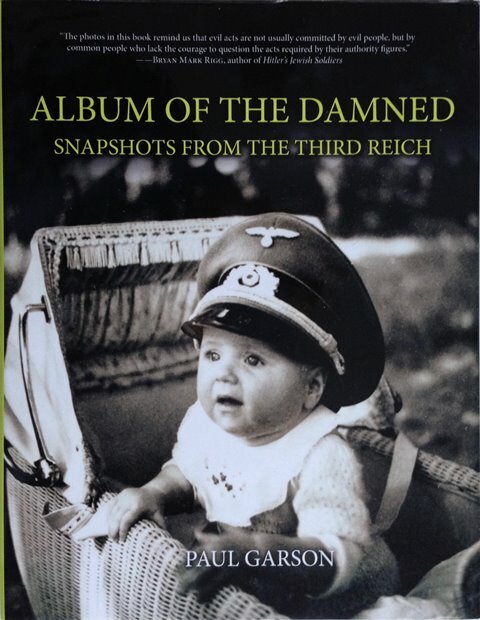 Album of the Damned by Paul Garson has nearly 400 WWII photographs in this book which were taken primarily by German soldiers; some by civilians; some by professionals embedded with the troops. Consequently, many of them depict everyday life: jobs, weddings, dinners, musical and other social events--men and women at work and play as well as at war. It is precisely the ordinary aspect of these snapshots--taken for family albums and for friends--which make them so spine-chilling because some of the subjects who smile benignly at the camera are the very same people who participated in the murder of millions of European civilians: Jews, Catholics Gypsies, intellectuals, clergy, adults, children, babies. And they killed with apparent equanimity, without hesitation, without doubt, without regret. Album of the Damned contains pictures mostly never seen before, the majority of which were once in family albums and are pictured here with their original paper frames. Their impact is deeply disturbing precisely because they are so pedestrian. Thus, in this book, the questions once again arise as they have for so many decades: how could such ordinary people commit such brutal acts? How was it possible? The questions remain unanswerable, as they ever will be. The author acquired these photographs from some fifteen countries during a five-year research effort, reviewing more than 100,000 images from which he made his selection. 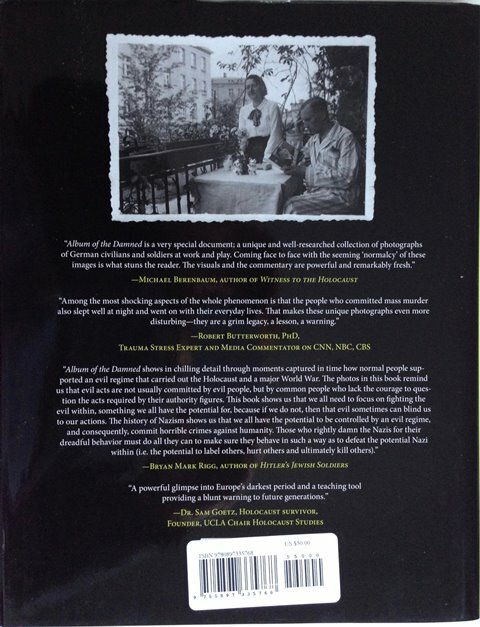 He bid in auctions against museums and private collectors to create a WWII photo history unlike perhaps any other.